Woke to a sparkly winter wonderland yesterday, the bare, hard ground transformed into soft rolls of white. And after two cozy days inside, time for a little outing. Driveway and roads plowed and sanded, safe to drive. 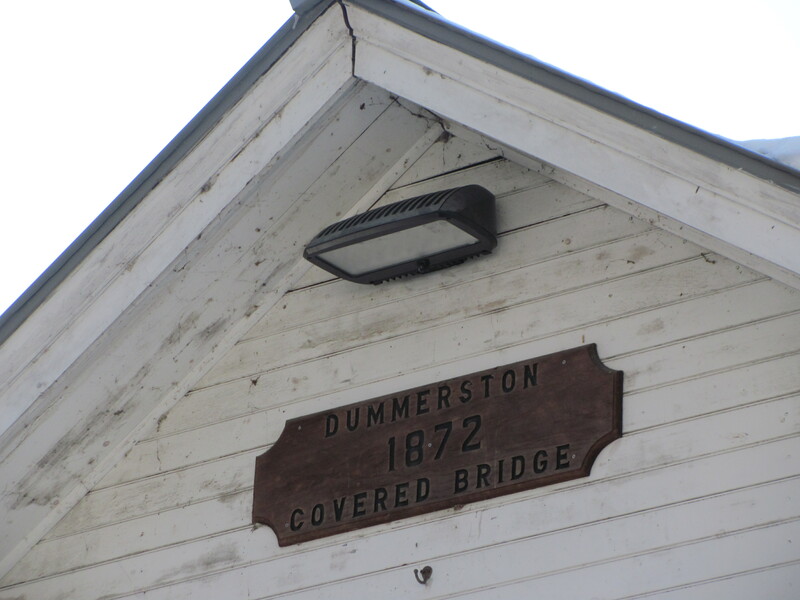 A few errands, a walk in the sunshine, and a chance to drive through Dummerston and take some pictures for my 251 challenge. Dummerston is home to Black Mountain where pitch pine, scrub oak and mountain laurel thrive – vegetation rarely found this far north. 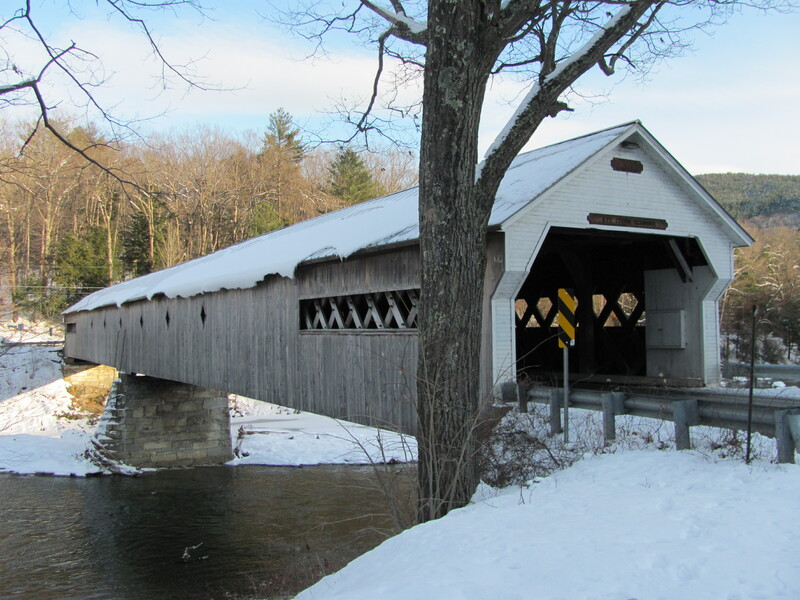 Sections of the West and Connecticut rivers run through town, the Center and West sides connected by the long span of a wooden covered bridge. 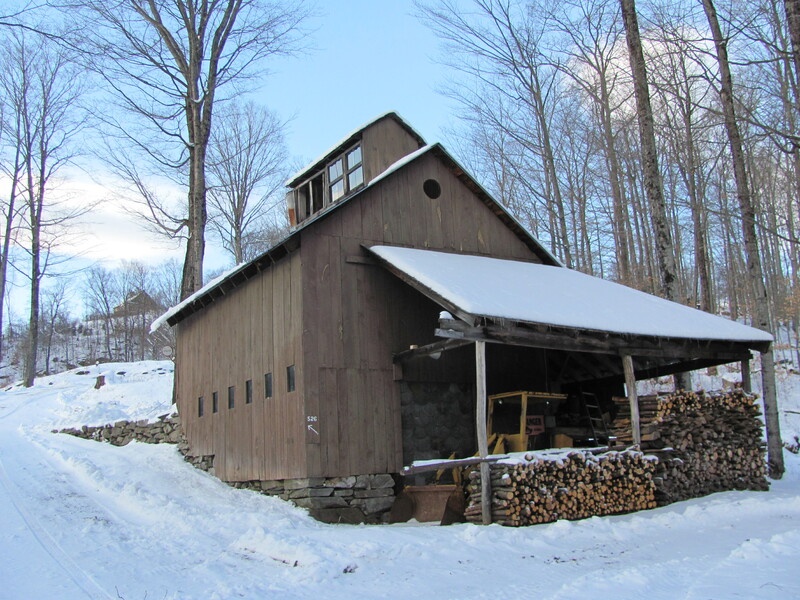 Apple orchards, maple sugar houses and small farms are tucked into the hills and narrow river valleys. 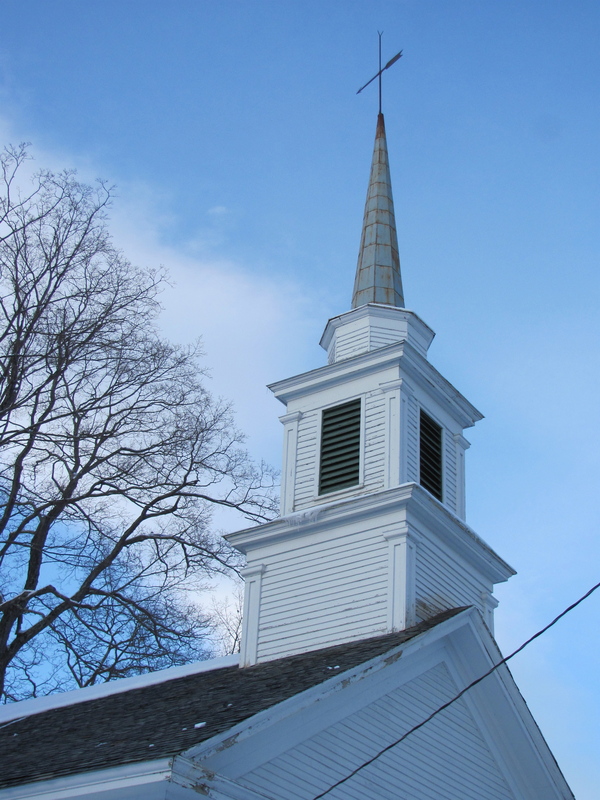 With two iconic town centers – each with a fire station, a grange hall and a classic white church. Home to writers, artists and craftspeople – and Naulakha, former home of Rudyard Kipling, creator of the Jungle Books. 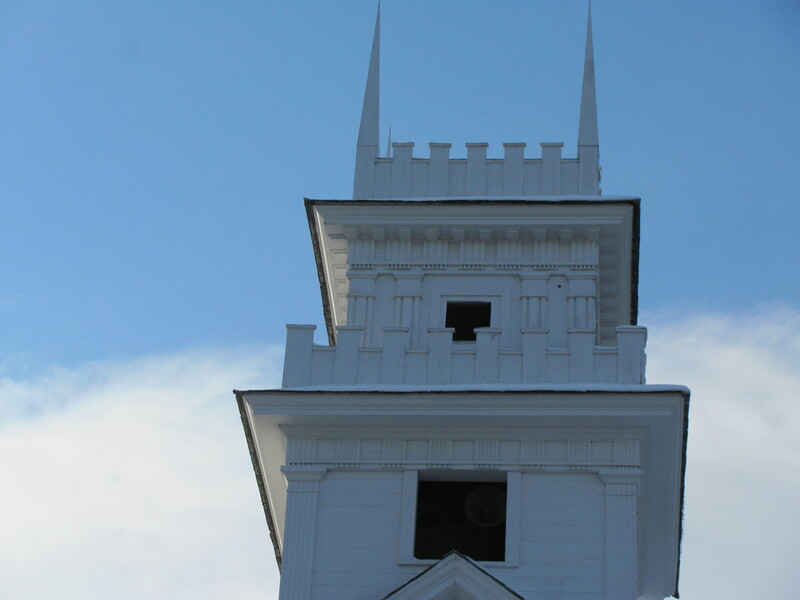 Intersected by three major north-south roads – Routes 91, 5 and 30 – and many miles of narrow, winding dirt roads, Dummerston is a quintessential small Vermont town – and like all of Vermont – picture perfect.